While Minnesota doesn't regularly receive a whole lot of attention, the Twin Cities definitely should. Tucked between two rivers, this green oasis of energy can't be contained within a single metropolis so on this vacation, you have two to sample! Student groups, whether you're educational or celebrating a graduation (congrats! ), will find something phenomenal on this trip and save a bundle, so get planning and get traveling! While the cities themselves might be more affordable than most cities, hotel rooms can still get pretty pricey downtown. For cheaper prices, head a little out of town to places like Roseville or Midway (aka right between the two cities), where you might be able to score a more affordable deal. November to March is the Twin City low season with fewer crowds and cheaper prices so if you're up for a little cold, then is the best time to spend your money. If not, the summer is beautiful and might be worth the little extra moolah to be able to tour in shorts. Metro Transit is the largest public transportation company in the entire state, and they have lines criss-crossing the entirety of both cities. 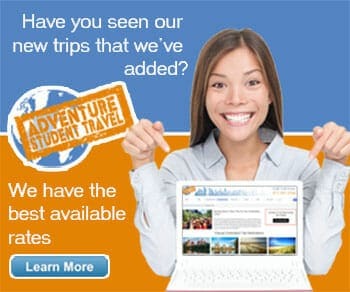 They'll certainly take you where you want to go, and at a huge discount from rental cars and taxis. Unless you're driving to the Twin Cities, it's probably best not to spend the extra cash on a car and instead save money by buying a multi-day bus pass. Metro Transit includes a bus system, metro rail, and the Northstar commuter train line which runs to towns and sites further outside the city. Minnehaha Falls - This waterfall is one of the most popular attractions in the Twin City region, because of its intense beauty. Lyndale Park Rose Garden - Well tended, relaxing and beautiful are but a few descriptors of this spectacular rose garden. Indian Mounds Regional Park - History, sightseeing, and pleasant scenery, what more could you ask for? Bell Museum of Natural History (free Mondays) - If you're in town on a Monday, it's well worth the visit. Marjorie McNeely Conservatory & Como Park Zoo - It's surprising that both of these fantastic attractions are free, so take advantage of them! Minnesota State Capitol - Free tours are always given at the Capitol Building. Cathedral of St. Paul - Absolutely breathtaking, you can take guided or self-guided tours or celebrate mass with the congregation. Midtown Global Market - Spend what you want and still get all the observational pleasure from people watching in a great gathering space surrounded by food. Minneapolis Sculpture Garden - Home to over 40 stunning sculptures! Mall of America - Lastly, the ultimate shopping center experience is less than 20 minutes from Minneapolis and even less from St. Paul so it's an easy and pretty much necessary stop on any Minnesota vacation. You don't even have to buy anything, although you'll probably want to. The Bakken ($) - The Bakken is a fabulous historic house estate holding a one of a kind electrical science museum replete with hands on activities and interactive experiments. Mill City Museum ($) - Decades ago, the cities gained much of their economy from the river in enterprises like flour milling. The Mill City Museum is located within the ruins of one such mill and enlightens visitors to the process and impact of the industry. You can even ride an elevator lift up the Flour Tower. Science Museum of Minnesota ($$-$$$) - It may be expensive, but this fabulous science museum holds the entire scientific history of the world in its walls! From mummies to the future of the human race, you'll encounter it all, plus an Omnimax theater for an added cost. American Swedish Institute ($) - Also in a historic house, the American Swedish Institute is part art museum, part heritage center, part history museum. The history of the country and its American immigrants is housed in this wonderful attraction and is well worth a visit. James J. Hill House ($) - Owned by the Minnesota Historical Society today, the James J. Hill House was once a resplendent estate owned by the builder of the Great Northern Railway. Visit and explore the house and learn the history behind the man and his legacy.